"Wake up mommy! Its the first day of first grade!" Said a 6 year old Dakoda, jumping on her parents&apos; bed. "Go back to sleep Dakoda. It&apos;s only 6:30." Ivy said rolling over. "But I can&apos;t be late. We need to go! Come on!" The little girl said pulling on her mother&apos;s sheets. "Fine. Go wake your father." Ivy said pulling the sheet back over her head. The little girl walked over to the other side of the bed. She looked at her father who was pretending to be sleep. "Daddy? Are you awake?" She asked opening his eye lid. "Yes baby girl. I&apos;m up." 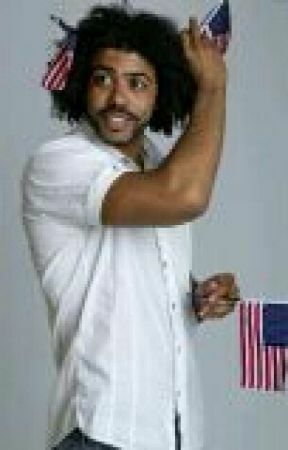 Daveed said sitting up and running his hands through his hair. "Come on daddy! Let&apos;s go! It is the first day of first grade!" She said pulling him up. "OK, OK. I&apos;m coming. Just give me a minute." The dad said. The little girl happily ran down the stairs. Daveed slumped back into the bed. Ivy&apos;s head popped out from under the sheets. "Good morning." Ivy said smiling. Daveed pecked her lips. "Good morning." He said in return. "You handle breakfast, and I will get the kids ready." Ivy said getting out of bed. She walked into the bathroom and found Dakoda already in the bath tub. She helped the little girl finish her bath and got her dressed. Ivy dressed her in a pink tutu and a pink and white shirt with her pink converse high tops. She put the girl&apos;s mess of hair into two pony tails. The mother walked into her son&apos;s room. She woke him and made him take a bath. She got him dressed in some brown shorts and a green teenage mutant ninja turtle shirt with his green high top converse. She combed the little boy&apos;s hair that his father refuse to get cut. He says he should have a chose how he likes his hair. The 3 of them went down stairs to find a breakfast of chocolate pancakes, eggs and bacon. The family sat down and ate. After breakfast, Daveed put the kids in front of the T.V. so they could both get ready. Today they were having a cast reunion for Hamilton and then tonight a big dinner. After the couple were ready they all loaded into the car and drove to Jefferson elementary school. At the school they took a few pictures. After a few tears were shed by both parents and kids, Daveed and Ivy left for Richard Rogers Theater. Daveed pulled open the theater backstage door and was ambushed by hugs from Oak. "Oh Daveed how I have missed you!" Oak said. When Ivy came inside, Renée attack her. "Baby sis!!! It has been too long!" Renée said. "Oak who is this with you?" Daveed asked noticing a girl behind Oak. "This is my wife Amanda and this is Emily." He said pointing to her stomach. "It&apos;s nice to meet you Amanda, I&apos;m Ivy." Ivy said shaking her hand. "Nice to meet you." She said. "So Oak, how has Chicago been treating you?" Daveed asked walking off with Oak.